Visit the Cowboys' official website for your daily fix of team information. Ezekiel Elliott is entering Year 4, which means the Cowboys technically have a decision to make about whether to exercise his fifth-year option. EVP Stephen Jones says they will "obviously" pick it up. Dallas Cowboys center Travis Frederick joined teammates for the opening of offseason workouts on Monday.Frederick missed the entire 2018 season with an autoimmune disease. Cowboys owner Jerry Jones was absent from DeMarcus Lawrence's press conference on Tuesday as he's in Minneapolis attending the CBA discussions between the NFL Management Council and NFLPA. DeMarcus Lawrence never planned to take a page out of the Le'Veon Bell playbook and sit out the 2019 campaign if sides couldn't come to a long-term agreement by the July 15 deadline. DeMarcus Lawrence is set to undergo surgery on Wednesday. While no timetable has been set for his return, the pass rusher is aiming to be back for the beginning of the 2019 season. Having just paid DeMarcus Lawrence with a new contract, Dallas Cowboys QB Dak Prescott is next in line for a big payday, but Stephen Jones insists their needs to be a mutual understanding. The Cowboys have locked up their defensive star. Pass rusher DeMarcus Lawrence agreed to terms on a five-year, $105 million extension with $65 million guaranteed. Progress is being made in contract talks between the Cowboys and franchise-tagged pass rusher DeMarcus Lawrence, per NFL Network's Ian Rapoport and Mike Garafolo. The Dallas Cowboys have quietly extended pass rusher Randy Gregory's contract through 2020, according to NFL Network's Tom Pelissero. Jason Witten is feeling young again as he's begun work for his comeback. "I'm invigorated by the process of going back in there. I really feel like obviously I've got a lot of energy coming back," he said. Cowboys corner Byron Jones underwent hip surgery this week, per NFL Network Insider Ian Rapoport. The surgery is being described as cleanup and the CB has shot at being ready for training camp. The Cowboys placed the franchise tag on star pass rusher DeMarcus Lawrence earlier this month. 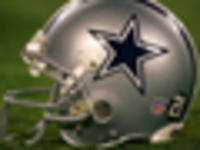 Lawrence wants long-term stability and owner Jerry Jones says a long-term deal is in the works. Veteran safety George Iloka, a longtime former Bengal, signed with the Dallas Cowboys, NFL Network's Mike Garafolo reported Saturday evening. The Rams announced Thursday that they will play the Cowboys in a preseason game at Aloha Stadium, the former site of the Pro Bowl. It will mark the first NFL exhibition game at Hawaii's largest outdoor arena since 1976. Three-time All-Pro safety Eric Berry will take his first visit since he was released by the Chiefs, as NFL Network Insider Ian Rapoport reports he'll meet with the Cowboys. One day after visiting Dallas, Randall Cobb has decided to stay there for good. The Cowboys have agreed to a one-year, $5 million deal with the former Green Bay Packers wide receiver. The Cowboys need a new slot receiver with Cole Beasley going to the Bills. Enter Randall Cobb? He'll be visiting Dallas on Monday, per Ian Rapoport. Here are other free-agent visits we're tracking. Dallas Cowboys owner Jerry Jones was asked what his thoughts were after Odell Beckham, previously an NFC East rival, had been traded. "Thank you, thank you, thank you!" Jones exclaimed. 4/10 Parker Ehinger (OG) Waived, No Recall (waived, no recall). 4/9 Demarcus Lawrence (DE) Franchise Player Signing (franchise player signing). 4/9 Shakir Soto (DE) Free Agent Signing (free agent signing). 4/5 Kasey Redfern (P) Free Agent Signing (free agent signing). Jason Garrett was named the eighth coach in Cowboys history on November 8, 2010. Garrett, who played for or worked alongside five of his predecessors, became the first former Dallas Cowboys player to become the team's head coach. Having literally grown up around successful head coaches in the NFL and in the Dallas Cowboys family, Garrett was a member of three Super Bowl winning teams in the 1990s during his seven seasons as a Cowboys quarterback. Garrett was elevated to the Cowboys top job after taking over as the team's interim head coach at the midpoint of the 2010 season. He went on to guide a Dallas team that had started the season with a 1-7 record to a 5-3 mark down the stretch. In the season's second half, three of the Cowboys five victories were against teams that posted 10 regular season wins, while the three Dallas defeats were decided by a combined total of seven points. Since the 2007, season Garrett had been the Cowboys offensive coordinator under head coach Wade Phillips, and in 2008, he was assigned the additional duties of being the club's assistant head coach. Garrett returned to Dallas in 2007 as the offensive coordinator after spending the previous two seasons tutoring the Miami Dolphins quarterbacks. Garrett, who was a back-up quarterback to Troy Aikman in Dallas from 1993 to 1999, rejoined the Cowboys with a great understanding of the championship heritage of the organization. As a player in Dallas, he was a member of teams that won six division titles and three Super Bowl championships. As a player, Garrett worked under highly successful offensive coordinators Norv Turner and Ernie Zampese in Dallas while providing sideline assistance to Aikman for the majority of his Hall of Fame career. After moving to New York in 2000, he helped guide starting quarterback Kerry Collins and the Giants to an NFC Championship and a Super Bowl berth while working along side current Saints head coach Sean Payton, who was the team's offensive coordinator. Garrett also gained valuable experience in absorbing Head Coach Jon Gruden's offensive philosophies during a stint with the Tampa Bay Buccaneers in the closing months of his playing career in 2004. He entered the coaching profession in February of 2005 as the quarterbacks coach for Nick Saban's first Miami Dolphins club. As a senior at Princeton University in 1988, Garrett was named the Ivy League's Player of the Year and honorable mention All American. He earned his degree in history in 1989, and moved on to the NFL as an undrafted rookie free agent with the New Orleans Saints developmental squad. After being released prior to the 1990 season, he spent the fall of 1990 as an assistant coach at Princeton. In 1991 Garrett moved on to play in the World League and the Canadian Football League before joining the Cowboys practice squad in 1992. Garrett, who prepped at University School in Chagrin Falls, Ohio, followed in his family footsteps in 2005. His father, Jim, spent more than 30 years in the NFL as a coach and scout. Garrett was born on March 28, 1966.